The risk of cancer after being exposed to ionizing radiation from diagnostic x-rays is higher for younger age groups than for older age groups, and is higher for women than for men. The risk of cancer also increases with the number of diagnostic x-rays a patient is given and the radiation dose per x-ray. Immunosuppressive medicines are linked to an increased risk of cancer. These medicines lower the body's ability to stop cancer from forming. For example, immunosuppressive medicines may be used to keep a patient from rejecting an organ transplant. Some studies show that obesity is also a risk factor for cancer of the gallbladder. Studies do not show that losing weight lowers the risk of cancers that have been linked to obesity. Chemoprevention agents that are being studied in clinical trials include COX-2 inhibitors. They are being studied for the prevention of colorectal and breast cancer. Aspirin is being studied for the prevention of colorectal cancer. Vitamin D has also been studied to see if it has anticancer effects. Skin exposed to sunshine can make vitamin D. Vitamin D can also be consumed in the diet and in dietary supplements. Taking vitamin D in doses from 400-1100 IU / day has not been shown to lower the risk of cancer. "Cancer Prevention Overview (PDQ)" National Institutes of Health National Cancer Institute. 25 May 2012. Have you struggled with poor diet, alcohol or smoking? What are some tips for reducing these carcinogenic factors? 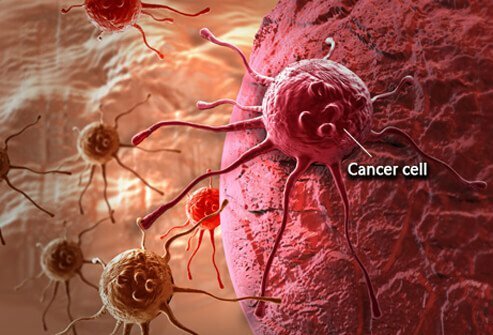 What are your concerns about developing cancer? Please describe your experience with cancer prevention.